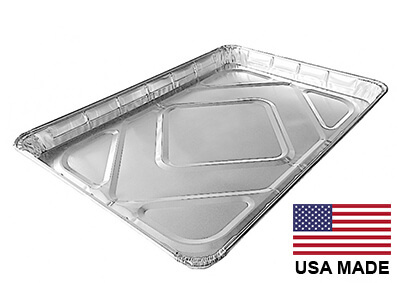 Home :: All Products :: USA-Made Drip Pan Liner, Aluminum, 1 ct. | 12-13/16" x 17-5/8"
USA-Made Drip Pan Liner, Aluminum, 1 ct. | 12-13/16" x 17-5/8"
Your current drip pan may be old, rusted and have holes. 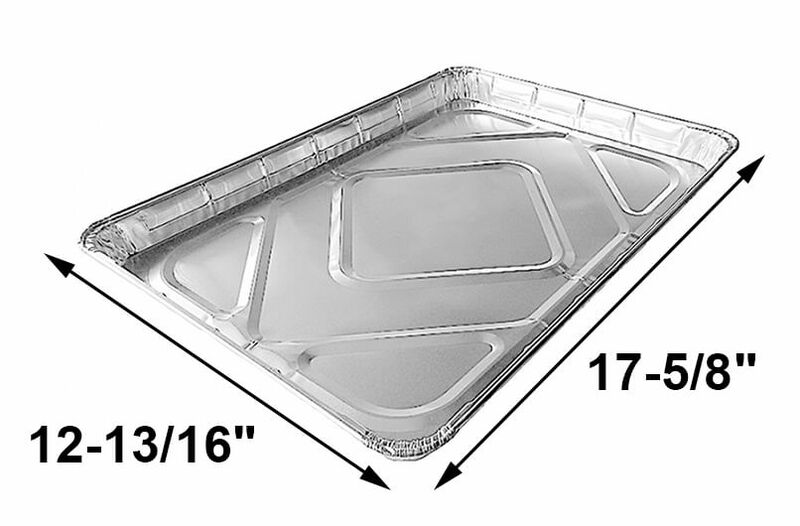 If you cannot find a replacement, try this aluminum drip pan liner to cover the original drip pan for your gas grill. 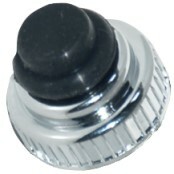 One aluminum drip tray liner may last for one season and can be easily disposed and replaced with another drip pan liner. A drip pan liner will get your grill catching grease again and get you back to grilling. Depending on the make and model of your bbq gas grill, you may need to cut a hole in the middle of the drip pan liner / grease tray liner. If cutting a hole is not appropriate for your bbq gas grill, it is highly recommended for drip pan liners / grease tray liners be replaced with a new / unused one or to be cleaned to help decrease a possible grease fire. If you need help determining whether or not to cut a hole in the drip pan liner / grease tray liner please email us at info@grillpartssearch.com or call us at 877-244-0737. Purchased the 3-pack for my Master Forge GD4215S, received them and they work well. Thank You.